Complete grounds maintenance services to suit any budget get a no OBLIGATION QUOTE TODAY! We are the fastest and most affordable tree removal experts in town. We have so many tree removals under our collective belts, we could literally remove trees in our sleep. 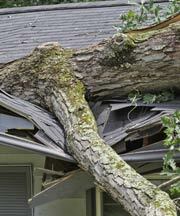 Don’t dare risk personal injury or property damage by attempting to remove a tree on your own, call a professional! 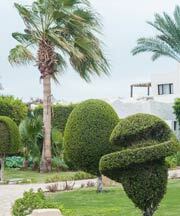 We shape trees and prune shrubs to make your landscape look Oh So Good. Trimming trees is less intense than tree cutting. 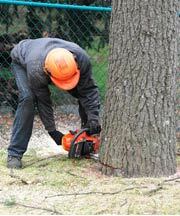 This is the most common tree service requested by our clients. We also provide ongoing tree maintenance. Palm tree care is especially common in the greater Las Vegas area. There are many different types of palms located throughout Henderson, NV itself. It becomes very important to know which species require what type of care. Whether you need a tree stump ground down or just completely removed, Tree Service Henderson has been in the business for several years and has the experience and know how to get rid of any type of tree stump. We clean up any unexpected damage from rain, wind and lightning storms. Or any other type of emergency. 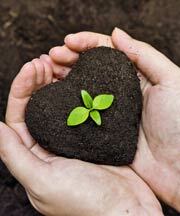 Keep in mind that we strive to do everything possible to keep trees and shrubs alive and healthy. Landscape and design is our specialty. We can take any yard in any state and with enough tender love and care turn it into a beautiful work of art that will make all your neighbors jealous. We are the premier Tree Service Company in Henderson, NV. We provide Free Estimates and always do a complete clean up after each job. We have been known to be the most affordable tree service in Henderson from time to time. Henderson Tree Service is reliable, trustworthy and honest. We will always go out of our way to make sure our clients are satisfied with our work. Henderson Tree Service is the superior tree service company located in your backyard. We have the know-how and tree tools required to take on the most demanding jobs. Our company would be nowhere without our wonderful clients. We will always take care of them because they have continued to work with us since 2003. We are currently expanding our tree services to Las Vegas. Check out the list below for the numerous regions & neighborhoods that we service. Need Services in your area? simply give us a call we will be there in no time! Henderson Tree Service is the Highest Reviewed Tree Service Company in Nevada. I had several unruly trees in my backyard that I wanted removed. What really impressed me about Henderson Tree Service was that the team worked in a way that made it clear that they knew exactly what they were doing. They were experts. I’ll be calling again soon! The estimate was quick, the price was fair, and they were upfront about what I needed, and what I didn’t need. I wouldn’t have known, they could’ve sold me on anything. That meant a lot to me. And the work was great too. We have three decades of experience and are one of the only tree service companies that have two certified arborists and a certified tree surgeon on staff. Henderson Tree Service is your one-stop shop for all tree care needs. At Henderson Tree Service we treat all of our clients with the utmost respect and care. We highly value our customers and will always provide the quality service they deserve. Keep in mind that we strive to do everything possible to keep trees and shrubs alive and healthy. If we feel that a tree or shrub can be guided towards a recovery to full health, we’ll gladly tell you the good news. Even if the situation looks meek, we’ll also give you the not-so-good news too. 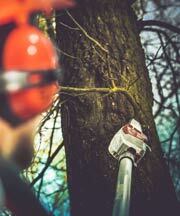 We have performed hundreds of Henderson tree removals. We are also tree doctors first. If an illness, disease or poor health can be teated then we say ‘yep’ to that. 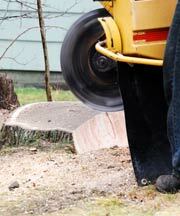 If you are in the Northern Ohio area, check out our partners at Stump Grinding Cleaveland Ohio.